Were professionally trained and have the equipment and experience to solve any problem, were also part of the largest specialist tile and stone cleaning network in the UK that enables us to share industry knowledge and expertise. Mick is extremely experienced. 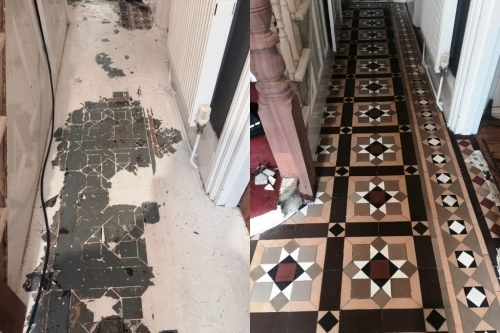 He did a fantastic job on our old terracotta tiles and out black and white Victorian tiles. He is very professional and very clean. He was very conscious that our house had just been redecorated and made no mess at all. Highly recommended.